You might imagine a question that I get asked a lot is why I named my business ‘Amalfi White Living’. 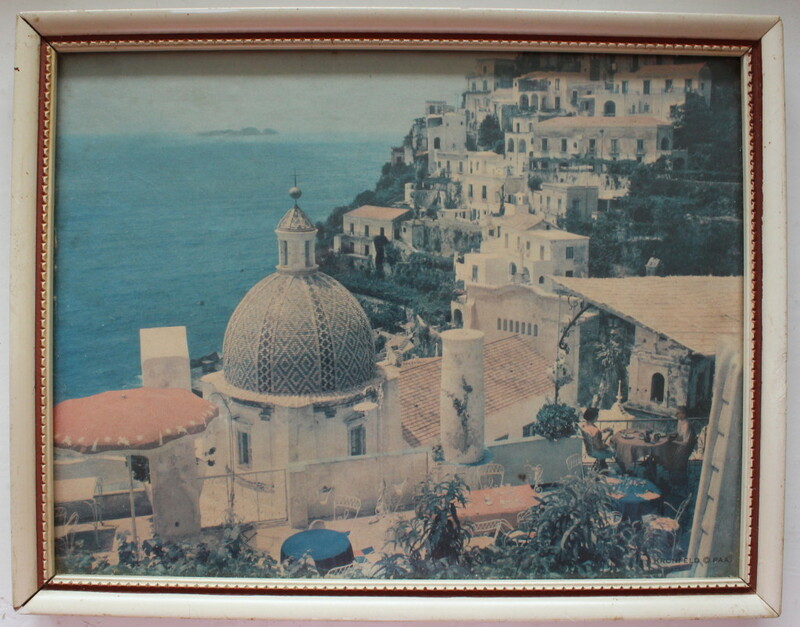 Well the Amalfi part comes from this wonderful old and faded picture of Positano on the beautiful Amalfi Coast. My mother brought it back after a holiday there with her mother in the early 1960’s and it hung on our kitchen wall throughout my childhood. The colours, the style, the sense of the place had always entranced the young me, so it just seemed to make sense to use it when it came to naming my business. Just so I didn’t sound as if I was running a travel company, I added ‘white’ (a colour found in almost every decorative scheme and a colour I’m pretty partial to) and ‘living’ to describe the design part of my work. 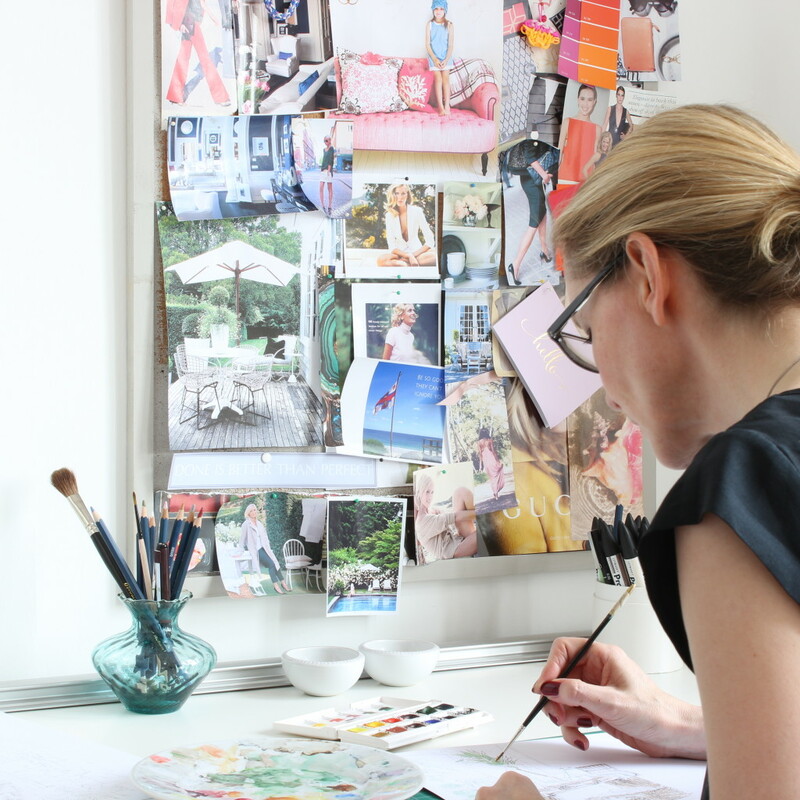 Before setting up Amalfi White Living and deciding to retrain as an interior designer I had a corporate career in marketing and PR, first in London and then in Edinburgh. But I always knew I wanted to do something really creative. After all, my first job out of school had actually been as a window dresser in Selfridges in London. And even when it came to studying for my degree in Trinity College in Dublin, you can see the creative and artistic thread in my choice of French and History of Art & Architecture as subjects. So it seems fitting that, although perhaps circuitous, my route has taken me to running my own interior design and illustration business. If you’d like to know more about Amalfi White Living style which I like to describe as ‘Fresh, Elegant and Modern’, do have a look through some recent projects here; you can also have a look at the Creative Ideas pages for ideas and inspiration for your design project. Or visit my Pinterest page for lots and lots more inspiration from around the world. or +44 (0)7940 00 5955 in the UK or email me. I’d love to hear from you.